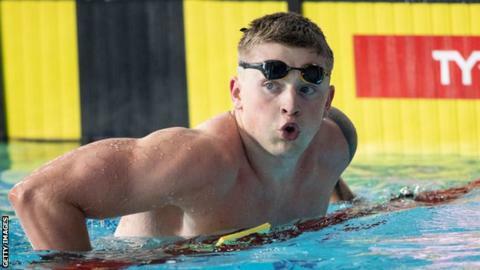 Olympic champion Adam Peaty will not face the threat of a ban from major competitions if he competes in the International Swimming League. Peaty was among those who intended to join the new £10m event. The sport’s governing body, Fina, had indicated that any swimmer who competed in the ISL could be barred from events including this year’s World Championships in South Korea. But they have now backtracked on the threat. Fina’s action was partly in response to their own rival Champions Swim Series, which reportedly offers a much smaller prize fund. But in a statement following a meeting in Lausanne, the governing body said that, while swimmers who compete in the ISL will not face sanction, any records will be unverified unless a competition has prior Fina approval. “Fina acknowledges that swimmers are free to participate in competitions or events staged by independent organisers, namely entities which are neither members of Fina nor related to it in any way,” said the statement. “[But] if an independent organiser does not obtain or does not request the above-mentioned approval, all results or records of such unapproved competition or event will be deemed null and void and ignored by Fina. Last month, Peaty had challenged Fina to ban him over the issue. “I don’t care, ban me if you’ve got to,” he told BBC Sport. “I’m not bothered because at the end of the day they know they can’t,” he said. Tuesday’s development appears to end the risk of future major competitions taking place without the sport’s top stars, with British Swimming – whose officials were a part of the Lausanne meeting – saying it “welcomes the clarifications”.